Where do I began? I personally think Tyler Perry’s last few movies have been rather lackluster. I feel like he has taken a formula and has whittled it down to almost nothing. I’m not sure what I expected going into this movie. I guess I expected more from such a talented filmmaker. The Single Moms Club follows a group of woman who are interconnected by their kids going to the same school. May, Hillary, Lytia, Jan, and Esperanza’s attend a meeting at the school to find out their children get into trouble. In order for their children to avoid suspension they have to work with each other to put together a project for their children’s school.May is writing a book and struggling to finish it. Lytia has two sons in jail and becomes overbearing to her youngest son so he avoids the same pitfalls. Jan is a workaholic and is harboring a secret from her daughter. Hillary is struggling with a divorce and being able to relate to her daughter. Esperanza is being supported by her ex-husband and can’t tell him about her boyfriend.My biggest problem was that the dialogue was stale and some of the jokes fell flat. In one scene Lytia comes into Hillary’s house and attempts to discipline her child because she is burnt out. Surprisingly enough the child listens without any hesitation. I thought it was implausible. (Especially in this day and age. )Terry Crews character, Branson, broke up the monotony for me with his lighthearted banter with Lytia. Unfortunately, his character only had a morsel of screen time with her. There were short moments of time in the movie where there were feel good parts and I wish there were more of them. What I didn’t like: The women never dealt with any real damaging conflict and I really think the cheap route Tyler chooses with his actor choices came back to bite him this time. None of these women did anything to stand out or really shine in the movie at all. Even with the drama they faced you never felt like they might not make it through this. What I think the viewers will appreciate:I believe viewers will appreciate the women banding together in the end with their personal turmoil’s and becoming triumphant in the face of adversity.In the end the question remains for me. What did the woman in the Single Ladies Club really overcome? 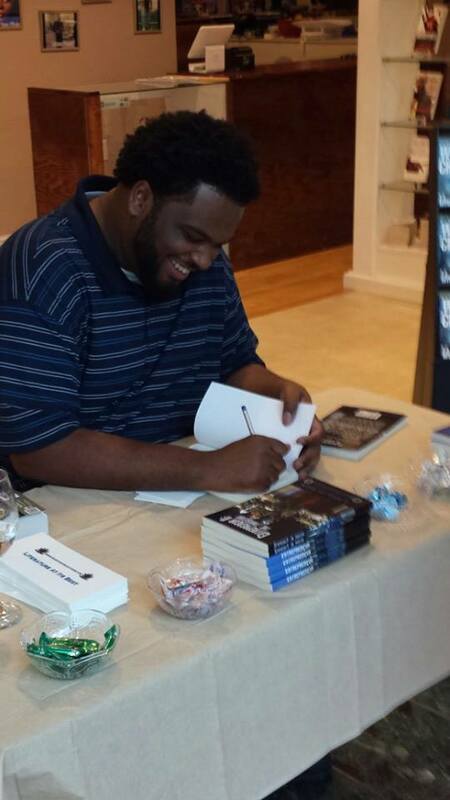 MARC AVERY is a south Philadelphia native and the owner of 5ive Star Publications. He loves reading and cooking and is currently working on future novels. For more information visit him at http://iammarcavery.blogspot.com.